For years, I have tracked “global citizenship” newsfeeds and proactively surfaced the topic in conversation. In recent months there has been an uptick, both unexpected and exciting, in the frequency with which this term is brought up by others. At least a few times a week I’m asked about what global citizenship is, why it matters, and how to learn about it. Often parents and teachers ask this, as they try to prepare their children and students to succeed in the 21st century. But business executives, civic leaders and policy makers also inquire. The concept transcends time, age, culture or geography. 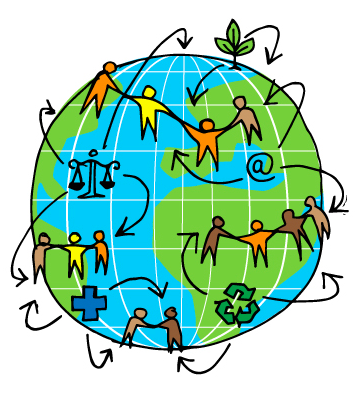 Global citizenship has been defined as “the exploration of personal and social responsibility in an interconnected world,” “the idea that all people have rights and civic responsibilities that come with being a member of the world, rather than as a citizen of a particular nation or place,” and “the development of knowledge, skills and values needed to engage with the world.” Global citizenship can manifest in many ways; there is no single recipe or equation. Equally important is to understand what global citizenship is not: it does not mean having a lot of passport stamps, being a globetrotter or a multinational corporation. Global citizenship is about values and mindset; it is not reflected by jetsetting or far-flung operational footprints. 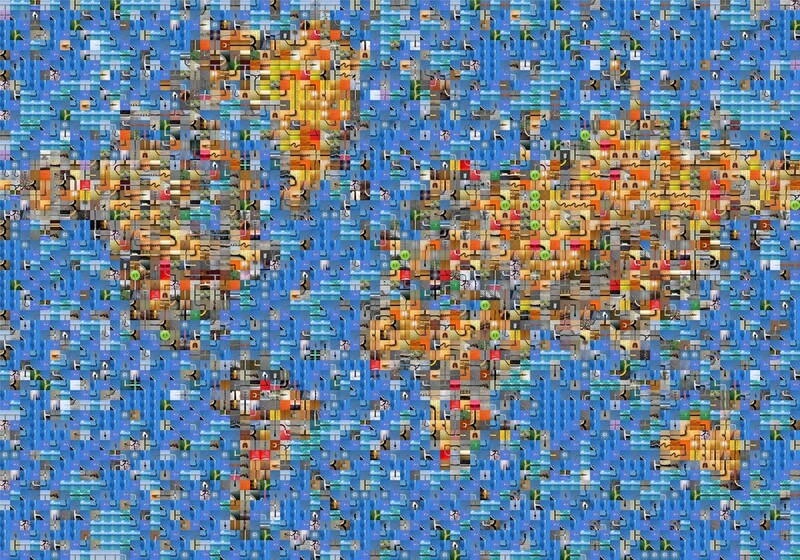 In an attempt to help strengthen our individual and collective global citizenship muscles, here is a list of 10 favorite resources to get started: platforms, books, organizations and initiatives worldwide. Many are appropriate for youth (especially #1–7), but there is something for all ages (see #8–10). In a future post I’ll focus on resources for living and working abroad. Global Citizen Year: GCY seeks to foster global citizenship in teenagers and grow the next generation of global citizen-leaders. It offers an immersion-based international bridge year (often called a gap year) for high school seniors before starting college. GCY Fellows spend a year in India, Ecuador, Brazil or Senegal, living with a local family and working in a local organization focused on global development. GCY is not an elite program; many students crowdfund to cover their costs, and scholarships available (50% of all Fellows receive at least a partial scholarship). Primary Source: Primary Source is a non-profit that works to advance global and cultural learning in schools, focused on the needs of and resources for K-12 teachers. They offer a range of courses and podcasts on topics such as Building Blocks for Global Citizenship and How To Build a Democracy Lab, some of which are free. DQ Institute: DQ means digital quotient (alas, Dairy Queen has competition) and represents an emerging set of global standards for digital citizenship, creativity and competitiveness. DQ is increasingly seen as a core skill for the 21st century, on a par with IQ and EQ (emotional intelligence). Themes include digital identity, rights, literacy, use, communications, security and safety. In today’s digital world, global citizenship will increasingly require high levels of DQ. The institute offers a range of free resources and activities for educators and children worldwide. Knovva Academy: The Knovva Academy is a virtual platform for high school students around the world, complemented by face-to-face summits and student-led task forces to learn about global issues. It reminds me of (a for-profit) Model UN for the digital era. Global Teacher Prize: The Global Teacher Prize awards $1 million each year to a teacher who “makes an outstanding contribution to the profession.” GTP isn’t about fancy curriculum or well-to-do schools. Rather, GTP celebrates visionary teachers who are wildly innovative in the classroom, represent the best of humanity and global citizenship values. Citizen University (U.S.): Citizen University hosts a range of events, gatherings, courses and projects across the United States, with the mission to help “cultivate the values, systems knowledge and skills of effective citizenship,” which are the foundation of global citizenship, too. Good Country Index: The Good Country Index represents a new way of looking at the world. Imagine if, instead of ranking countries by GDP or ease of doing business, what if we ranked countries based on how much “net good” they contribute to humanity? If we were to measure what each country contributes, and what it takes away, relative to its size, country rankings look quite different than today. This is a useful metric for a country’s tendency towards adopting global citizenship values as well. The instigators of the Good Country Index also launched The Good Country prototype and are reconsidering next steps. Apolitical: Apolitical is “a global network for government, helping public servants find the ideas, people and partners they need to solve the hardest challenges facing our societies.” The Apolitical community recognizes that increasingly, the world’s toughest challenges (such as climate change) are borderless, but we lack borderless solutions. By connecting public sector leaders and policy makers, Apolitical helps build connective tissue at the global level, transcending national boundaries. Of course, if you have ideas for what I may have missed, I’m all ears! Last but not least, if you’d like to dive deeper into the nuances or get a better grasp of how I view citizenship, head towards Citizenship: The Hardest Questions.